Since opening its doors for business in May 2016, it’s been all systems go for the team at SeaCat Ships. Situated at Ocean Marina Yacht Club South Pattaya, Thailand, SeaCat Ships has already established a reputation for producing high performance aluminum boats constructed to international standards by a highly trained and experienced construction team. 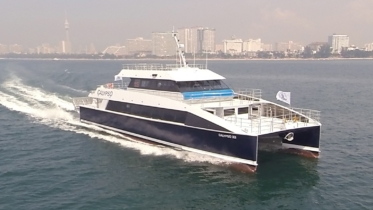 SeaCat Ships specializes in high-speed aluminum catamarans, particularly the world-renowned ‘Sea Cat’ design. These include: Pleasure Crafts Ferries, Tourist cruise and Dive boats. We also possess the capability of building aluminum mono-hull and tri-hull bespoke as well as specialized client designs. Using Australian ‘state of the art’ design and construction technology in association with international supervisors, experience has been gained over 35 years in the boat building industry, specializing in everything from Mega Yachts to Ferries. This, combined with our highly trained and skilled Thai craftsman, ensures high quality at a reasonable price. SeaCat Ships is BOI approved which allows us to import the highest quality products from around the world, duty free and export duty free. SeaCat Ships also provides aluminum fabrication services for marine related projects, as well as engineering, algrip fairing and paint jobs. 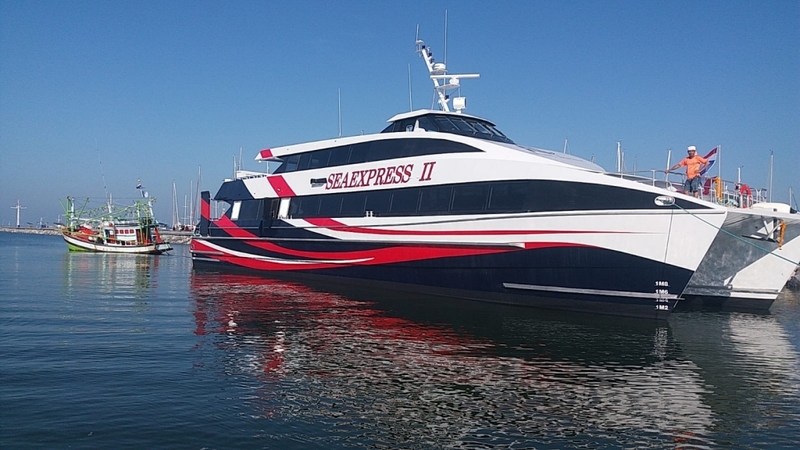 In conjunction with Sea Speed Designs, experience has been gained over 35 years in the boat building industry, specializing in everything from Mega Yachts to Ferries. SeaCat Ships offer custom designed and built Aluminium Catamarans made specifically to suit the needs of the keen owner/operator. These high speed, long-range aluminium cats not only look great, but also perform to a very high standard. Our Cats are assembled in Thailand by our Australian/Thai team, with a lot of the components coming from Australia and many of the sub-contractors also being of Australian decent. 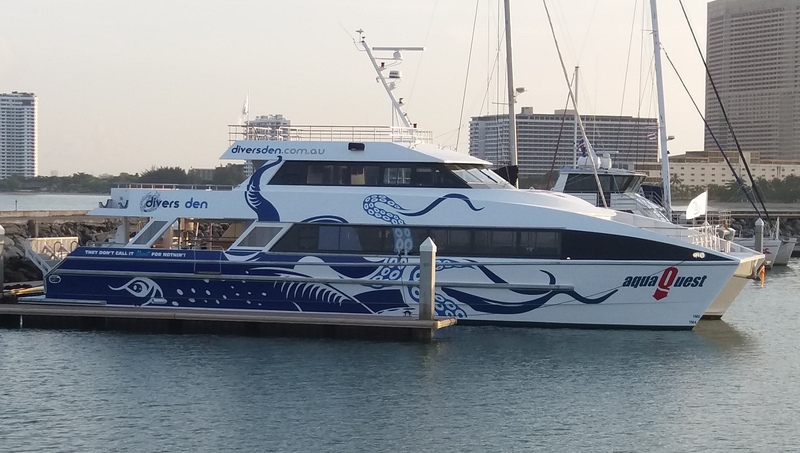 For Example: “Aqua Quest” is a state-of-the-art dive boat built for daily rough water operations from Cairns, Australia out to the Great Barrier Reef. After the sea trials and commissioning in the Gulf of Thailand, she sailed on her own hull to Cairns via Bali. We have access to over 100 proven hulls from 6 to 42 Metres, all built to the highest international standards. The aluminium hull and deckhouse design is very strong and is in compliance with the requirements of Lloyds Register SSC rules for a passenger vessel operating offshore. 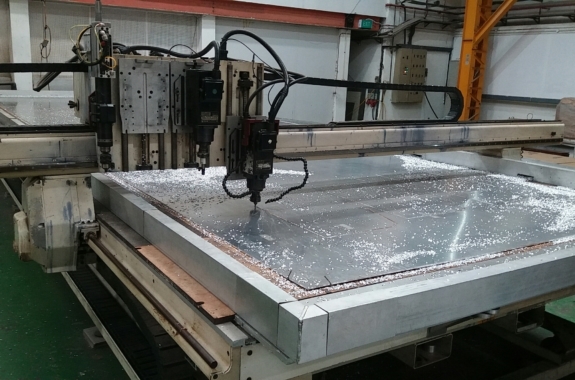 The majority of the aluminium structure was supplied in KIT format to allow the parts to be CNC router cut for ease in construction. SeaCat Ships offers custom designed and built aluminium catamarans. 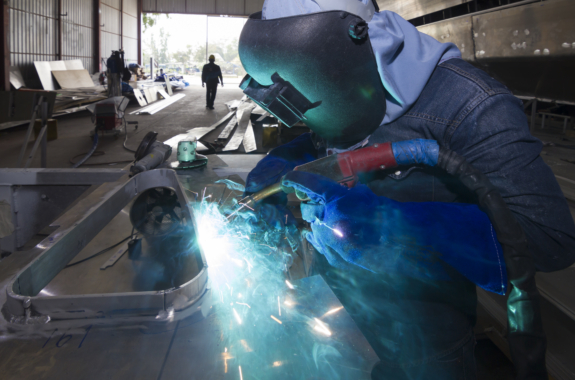 Crafting high-performance aluminum boats in the heart of Asia. 35 years in the boat-building industry. Redefining speed, comfort and affordability at sea. SeaCat Ships is fundamentally a family owned and run company, with management carried out by Paul, Vicki, and Mari-on Birgan. Paul (Managing Director) who has just been awarded WBW’s “Designer of the Year Asia” Award for 2017, has 30 years experience in the design and construction of aluminium vessels. Paul handles all new enquires, as well as the ordering process from commencement to completion. Vicki (General Manager) manages the Shipyard and oversees the day to day running of the office and it’s staff. Mari-on (Marketing Manager) manages the marketing side of the business, including the SeaCat Newsletter, Website and Social Media Channels. Construction in our Thailand Shipyard, happens under the watchful eye of Murray Birgan (Project Manager). Murray works with a team of expats to carry out supervision, training and quality control. With decades of boat-building experience between them, the team ensures a high quality of new-builds. 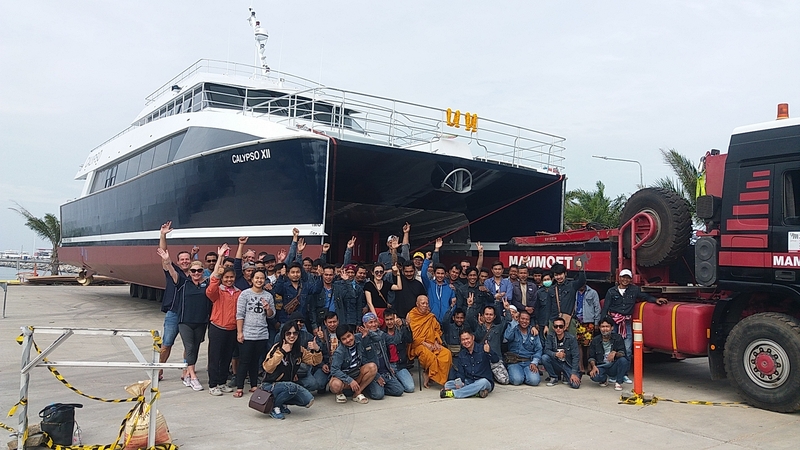 They are now passing on their expertise to their Thai employees, many of which already have extensive experience in aluminium fabrication and welding and are quick to pick-up the specialised skills required at SeaCat Ships. SeaCat currently has 5 expatriates and 50 Thai employees, as well as a further 20-30 part time Thai sub-contractors. We are also supported by Australian suppliers and sub-contractors.